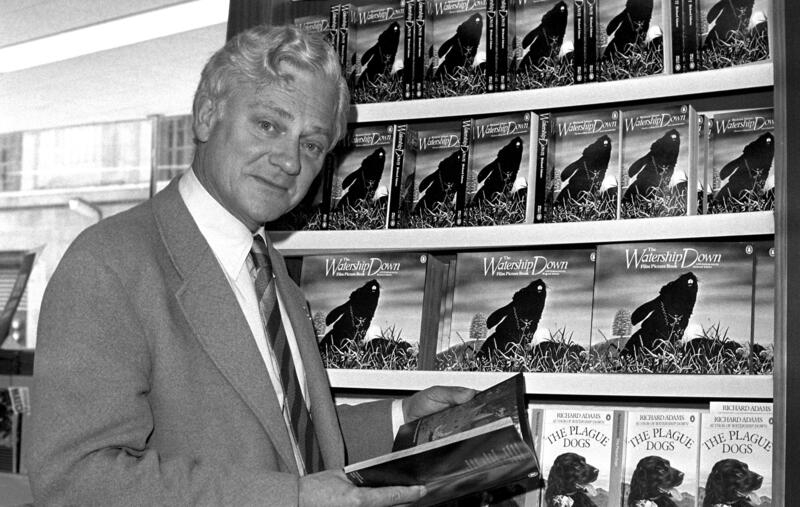 Tue., Dec. 27, 2016, 3:58 p.m.
LONDON – British author Richard Adams, whose 1972 book “Watership Down” became a classic of children’s literature, has died, according to his daughter. He was 96. Juliet Johnson told the Associated Press on Tuesday that Adams died in Oxfordshire, England, on Christmas Eve after getting progressively weaker in recent weeks. “He died of what used to be called old age,” she said, adding that her father also suffered from a blood disorder. Adams’ lyrical and poignant novel about the plight of rabbits whose home was under threat became an astonishing success after it was published. Popular with both children and adults, it has since sold millions of copies and was made into a film, with a remake scheduled for next year. It entered the popular imagination and has never been forgotten. Adams dreamed up the elements of “Watership Down” while working as a civil servant and regaling Juliet and her sister Rosamond with stories about rabbits. He would tell them the stories at bedtime and on car trips, often embellishing the tales while driving the girls to school. Johnson said the characters he described were “a bit more babyish, more simplified” than the ones that turned up in the finished book. Johnson says there are at least three earlier versions of the book filled with his handwritten changes and notes. When the manuscript was completed, it was rejected by publishers seven times until its publication in 1972. Adams wrote seven other novels after his first success and often asserted that his 1974 novel “Shardik” was a better book. Johnson said she told him in what turned out to be his final days that he believed his work would endure. Adams served in the British Army during World War II. Johnson said his experiences in the war often turned up in his books. He is survived by his wife Elizabeth, his daughters Juliet and Rosamond, and grandchildren and great-grandchildren. Published: Dec. 27, 2016, 3:58 p.m.